Zee Studios’ Manikarnika: The Queen of Jhansi tells the epic journey of a courageous and fearless woman who fought for independence. 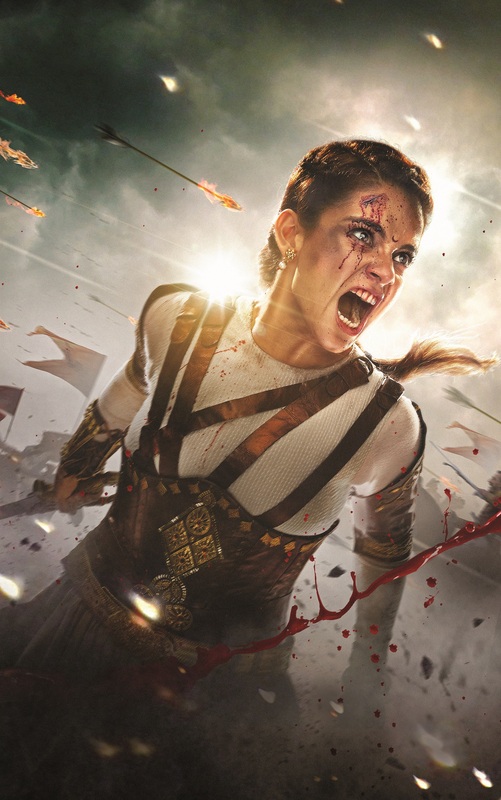 And, who better than Kangana Ranaut to portray India’s fiercest warrior queen, Rani Lakshmi Bai on the big screen! The official teaser of the film, that was released yesterday, has received impressive response from trade to fans alike, garnering over 11 million views in 24 hours. The teaser brings out all the elements that one looks for in a complete entertainer. Zee Studios will release the film worldwide on January 25, 2019. Mounted on a large scale, the film has roped in the best of technicians, multiple national award winners—Kangana Ranaut, Shankar Ehsaan Loy who composed the music of the film, to lyricist, Prasoon Joshi—it’s a dream team that has come together to work on the film that promises to provide true cinematic experience, high on content. Not just that, Hollywood’s celebrated action choreographer, Nick Powell has designed action in the film.